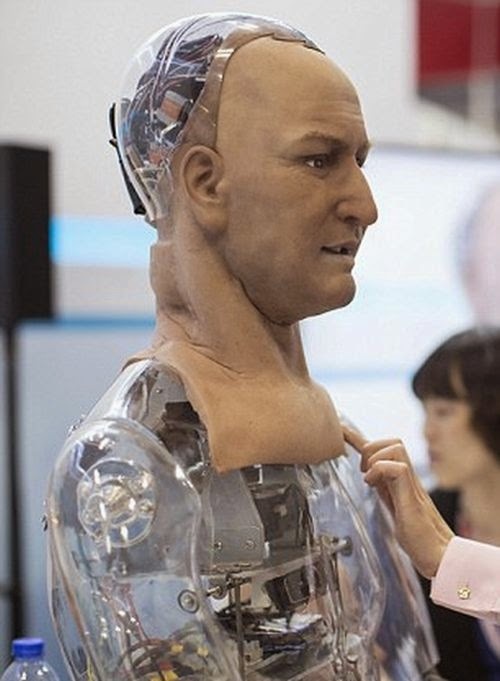 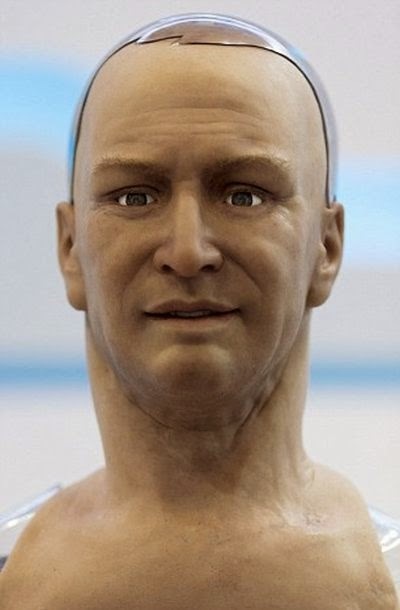 This humanoid robot is known as Ham and it's scary to see just how human Ham actually is. 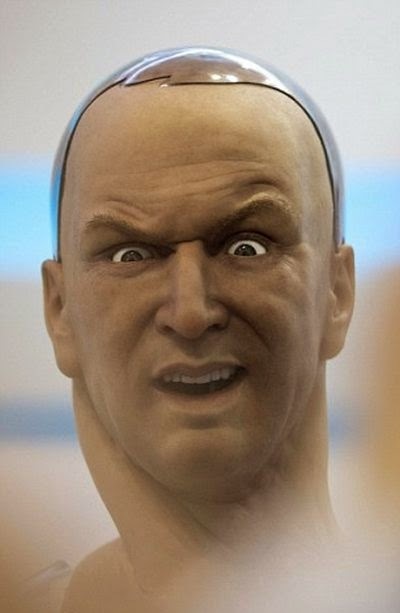 He has eyes that can follow you around the room and his face can mimic real lifelike human expressions. 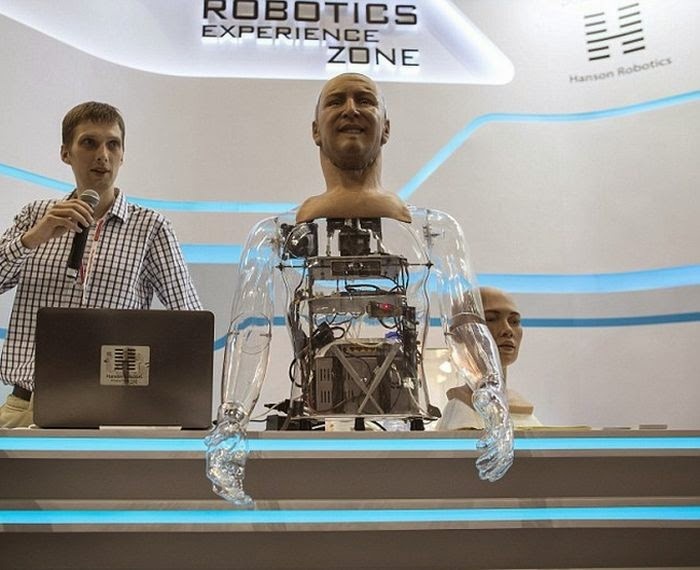 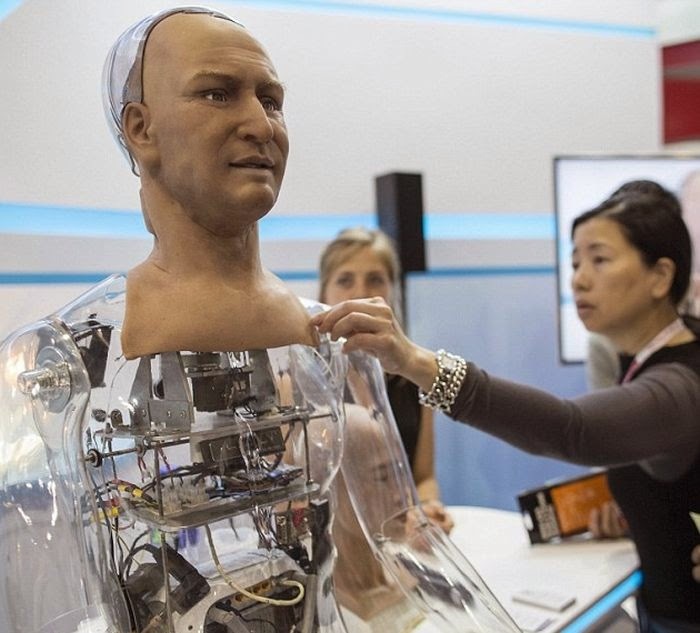 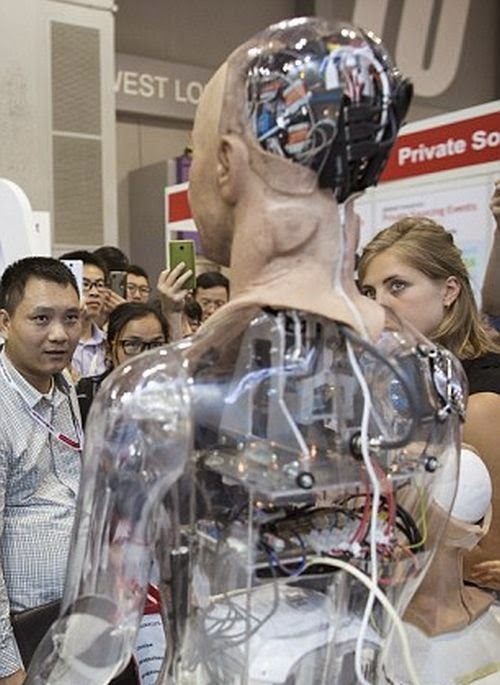 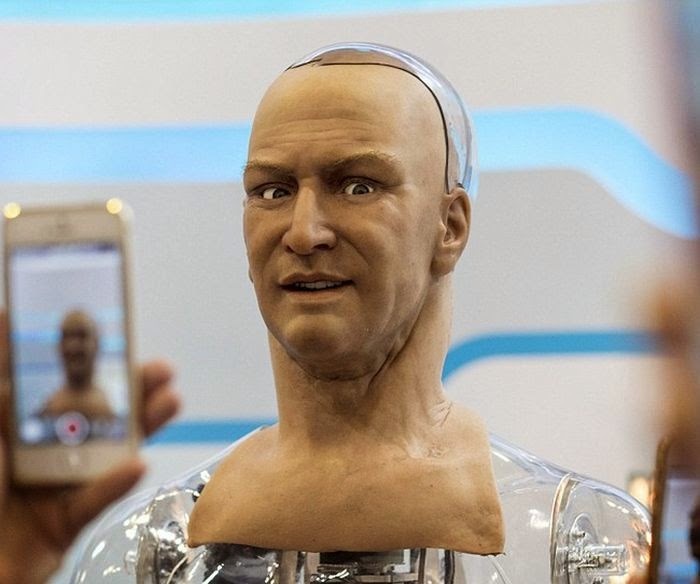 Robotics designer David Hanson showed Ham off at an electronics event in Hong Kong last week and the crowd was stunned by how real he looks.